God had used the Late Very Reverend Fr. Gabriel Abdel-Sayed, the first ordained priest of St Mark Church, who used to travel to many states, serving the communities, praying liturgies and planting the seeds for churches and dioceses to be established in these states. God has used St. Mark church to help thousands of families that came from Egypt, to achieve a decent standard of living in USA. As expected, these families have migrated to other areas and/or states looking for an even better life and have become loving members of many churches. God has used St. Mark church to raise thousands of young adults who have become successful professionals and remained loyal and loving to the Coptic Church. Naturally, these loving youth also have migrated to other areas and/or states looking for an even better life and have become loving members of many churches. God has used St. Mark church to serve hundreds of youth through the campus ministry of the universities close to the church. Many of these youth have been wonderful members and loving to their churches in many areas. With technological advances, God has used the church to bless many people all over the states and the world by its live broadcast of its services and broadcasting many spiritual and biblical, prayers, praises programs through Satellite TV, IPTV and online. 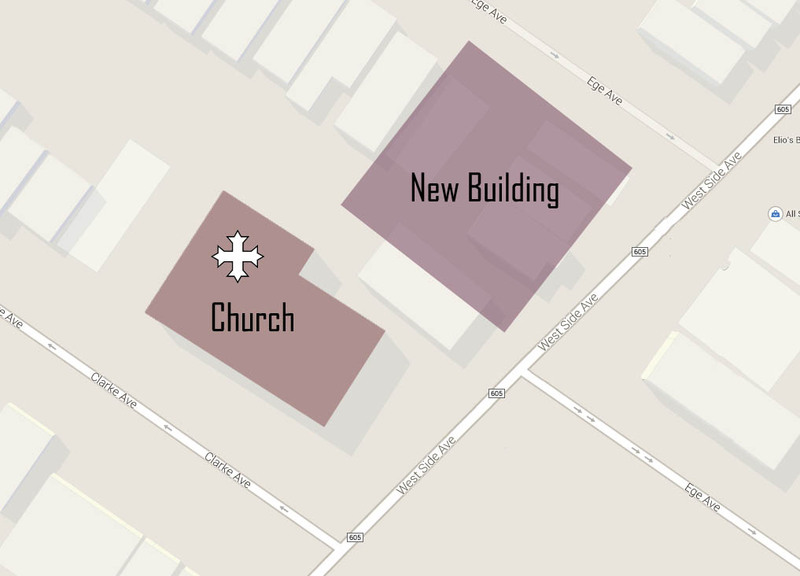 There is no exaggeration in saying that St. Mark church in Jersey City to North America is as the church of Jerusalem in the apostolic era, the mother church. Having said that, we believe it is time to show gratefulness to God’s grace through St. Mark church these days. 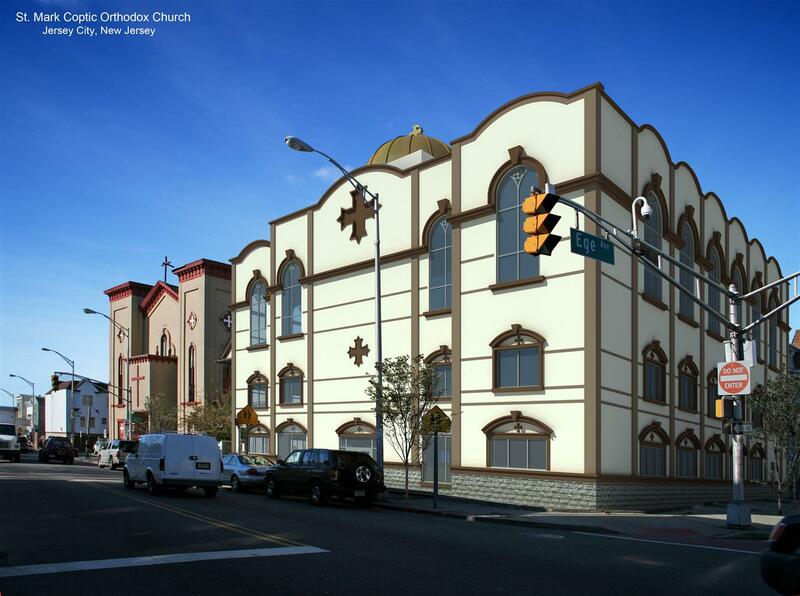 St. Mark Church in Jersey City, New Jersey has been working on a project for a new service building, with God’s grace. The old buildings, to be removed soon, are deteriorated and are not suitable for the church’s many services. The new building will include Sunday school classes, a fellowship hall, and a multipurpose hall for all the church activities. Originally, it was planned to get a loan for the amount of $2,000,000 from a bank, but unfortunately some terms in the recent iteration of the contract are not reasonable with the church conditions. Moreover, the church would pay almost $ 2,100,000 dollars in interest alone. It would be wiser to save this amount, for the needs of the poor and other services of the Church (Matthew 25:34 -36, Mark 16:15). We believe that the financing of the new building can be easily achieved by the Almighty God through the “cheerful givers” or any other way He sees. God the Almighty is “able to do exceedingly abundantly above all that we ask or think” (Ephesians 3:20). “The God of heaven Himself will prosper us; therefore we His servants will arise and build” (Nehemiah 2:20). As a humble estimate, when God speaks in the hearts of 400 “cheerful givers”, and each one donates just $5,000, the church will collect the $ 2,000,000. In this case, the church will build its new building without loan entirely. The glory is and shall be due only to God the Almighty. In asking people to donate, it is not to burden them but to bless them. St. Paul said: “for God loves a cheerful giver” (2 Corinthians 9:7). It is great blessing and honor, to have the opportunity to donate to God’s house as all things come from Him, we give Him of His own (1 Chronicles 29:1-14). We pray to God the Father, in the name of our Lord Jesus Christ that the beloved respond to this appeal. We believe that there are many who have been blessed by the services of this church, in any way, over the long years of its mission. We also believe that there are many who may not know this church but have the zeal on the house of God and His glory (John 2:17). Please, if this message resonates with you, and touches your heart; send your donation to the address of the church or online. Any offering of love of any other amount is also appreciated and honored in God’s eyes.